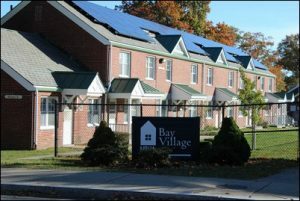 Bay Village is NBHA’s oldest property development. Built in 1941, it consists of one hundred and ninety seven (197) federal family units that vary between one bedroom to four bedroom units. 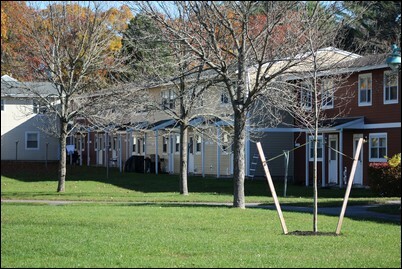 Modernization work was completed the late 1990’s and, recently, seven (7) units were made to be handicap accessible. It is located in the south-central section of the city, near the downtown area. It is in close proximity to the Gomes Elementary School, the Zeiterion Theater, and the SRTA bus terminal. The property office is located at 242 Acushnet Avenue and may be reached at 508-997-4835. Our Ben Rose Development consists of fourteen buildings with sixty (60) units within these buildings. There are a total of four (4) fully accessible handicapped units at this development and the bedroom sizes range from 1 to 5. Built in 1974, these two (2) storied buildings were extensively rehabbed in 2012. 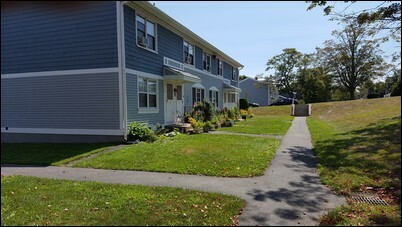 It is conveniently located close to Route 18 and has a supermarket across the street. 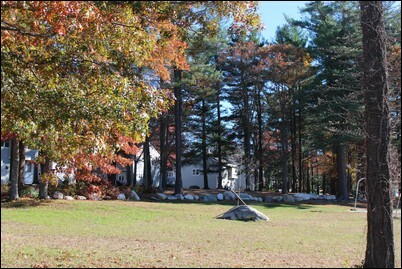 The Community Room on the site offers after school and summer programs for the residents. 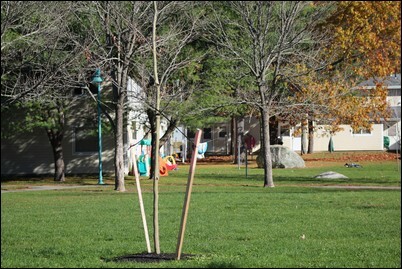 There are two playgrounds located adjacent to the property. The development is located in the South-end of the City and is in the Alfred J. Gomes and Renaissance Innovative school district. The property is protected 24/7 with security cameras. 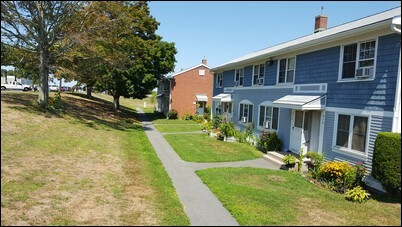 Blue Meadows is a state-funded family development in the south end of New Bedford. 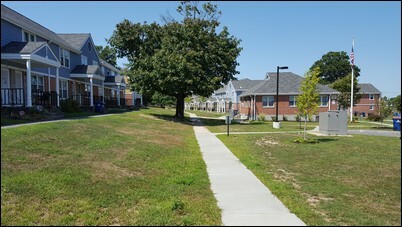 First occupied in 1951, Blue Meadows like the other Chapter 200 developments, Parkdale and Nashmont, was built for Veterans returning home from World War II. Located at 473 Dartmouth Street, it has one hundred and fifty (150) units for families; but the qualification of proving a military service has been removed for some time. Bedroom sizes range from 1 (one) bedroom to four (4) bedrooms. Its location is in close proximity to many retail stores including, Stop & Shop supermarket, a pharmacy and a laundromat. The phone number for the property office is 508-997-4841. Boa Vista Towers is a federally-funded ninety-nine (99) unit high-rise building located in the south central area near downtown New Bedford. All units possess 1 (one) bedroom and there are six (6) fully handicap accessible units in the building. Laundry facilities are located on the ground floor, as well as a large community room. Coastline Elderly Services serves hot meals Monday through Friday at 11:30 A.M. Please call 508-997-4829 Ext. 129 by 11:00 A.M., the day prior, to reserve a meal. There are also many activities that take place throughout out the month. Hairstyles with Stella takes place every Monday at 8:00 A.M.
Bingo occurs every Tuesday and Saturday at 5:30 P.M. Exercise groups are held Thursdays at 10:30 A.M.
A coffee and social hour is held Fridays at 10:30 A.M.
Additional activities happen throughout the month and are posted on the monthly calendar. 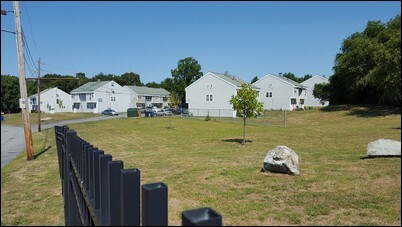 Brickenwood is a federal-funded development located on Hathaway Road in New Bedford. With three-hundred (300) units, it is the Authority’s largest development. Opened in 1953, it is a development of seventy-five (75) garden-style detached four (4) unit buildings. Residents have a Price-Rite market located across the street. It is in the Carlos Pacheco elementary school district. 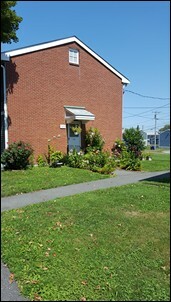 The Brickenwood Property office is located at 52 Walker Street with a phone number 0f 508-997-4838. The Caroline Street Apartments are an elderly-designated development in the west end of the city. Featuring fifty-six (56) one bedroom units and a pair of two (2) bedroom walk up apartments, Caroline Street was recently renovated due to an increase in federal funding through the Hope VI program. Many amenities are also provided; there are on-site laundry facilities available for residents and a fully-staffed Senior Center located within the development. There are many activities that take place during the week in the Senior Center. Guided exercises are scheduled every Monday at 11:00 A.M., Bingo is held every Tuesday and Thursday after lunch at 1:00 P.M., among other, miscellaneous, events scattered throughout the month. Check the Senior Center calendar for updates. 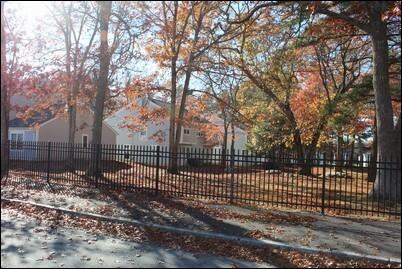 The development is located in a quiet residential neighbored in a beautiful area of the North-end of New Bedford. Built in 1969, this development consists of eight (8), 2 story duplex buildings for a total of 16 apartments. Four of the buildings are located on Chaffee Street and the other four are located directly behind them on Fairfield Street. 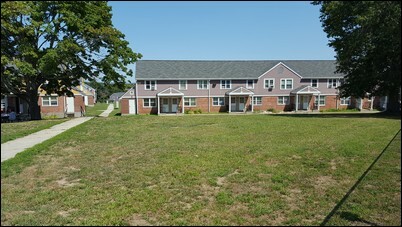 Each building sits on a spacious piece of land with large back yards and a driveway for each unit. The property is located in the Campbell School district and is in walking distance to a supermarket and many other stores. The buildings have both 2 and three bedroom apartments with a half bath on the first floor and full cellars. This beautiful development was built in 2010 and consists of twenty-four 1 bedroom apartments with in three 2 story buildings. Two of the units are fully handicapped accessible. This elderly only development has a community room for resident meetings and social gatherings along with a complete kitchen and a laundry room. The grounds are beautiful with seating situated around the development to enjoy the outside air. There is a part-time elderly service coordinator on site to assists residents with an array of services. 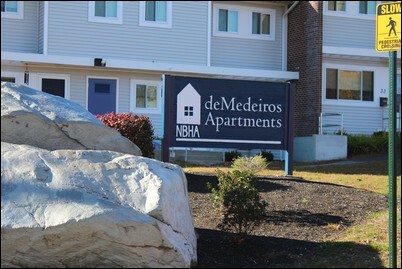 DeMedeiros Apartments I and II are located across the street from each other in the north-end of New Bedford. DeMedeiros I has three buildings consisting of apartments ranging in size from one to five bedrooms. The site has plenty of off street parking and is located in a very quiet section of the city. DeMedeiros I was constructed in 1974 and has 24 apartments in total. DeMedeiros II is a newer development having been built in 1984 and consists of four duplexes with 8 three bedroom apartments. There are 3 handicapped units at DeMedeiros I. 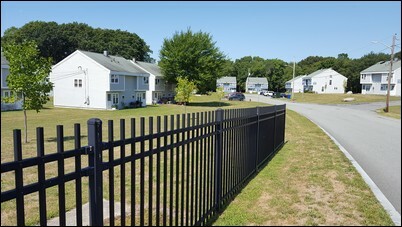 A federally-funded family property, Duncan Dottin Place is a ninety-three (93) unit development located in the north end of New Bedford. Completed in November of 1992, bedroom sizes range from 2 bedroom to 5 bedroom units with five (5) of which are handicap accessible. Dottin Place is nearby to many retail stores including Trucchi’s Supermarket. The development is within the Campbell elementary school district. 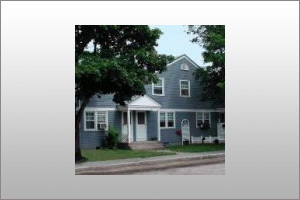 The Property Management Office is located on site at 8 Amanda Avenue and can be reached at 508-997-4848. 14 Adams Street is located in the central part of the City. It is a standalone garden style, three (3) story building housing 24 with twenty-four 1 and 2 bedroom apartments. The development is located close to a bus stop on County Street and is in the Hayden McFadden School District. The building was constructed in 1970 and has an onsite laundry facility. Our Alec Street development consists of three (3) two (2) story buildings with four (4) units per building. There are four (4) handicapped units at this site. The property is located in a very quiet residential neighborhood on a dead-end street. The buildings were constructed in 1973 and recently went thru extensive remodeling. There is both off street and on street parking and the apartments are in close proximity to St. Luke’s Hospital and are in the Betsey B. Winslow School District. 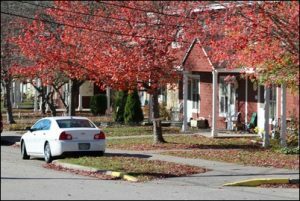 Very similar to our North Street development, Cottage and Smith Streets consists of 2 duplexes of 1, 2 and 4 bedroom units with one handicapped accessible unit. Also built in 1996, this Federally funded development is located in the west-end on the City. These apartments are in the Carney Academy school district. These apartments all have washer/dryer hook ups on the first floor as well as a half bath on the first floor. 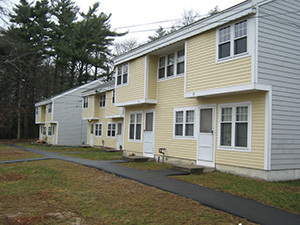 This Federally funded development was built in 1996 in a beautiful residential area in the North-end of New Bedford. The site consists of two duplexes with off street parking and very large back yards. These apartments all have washer/dryer hook ups on the first floor as well as a half bath on the first floor. 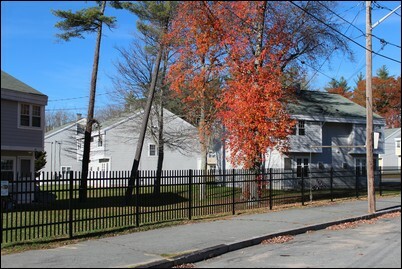 This property is located in the South end of New Bedford in a commercial residential neighborhood. There is one building at this site that contains four, 3 bedroom apartments. It is located on a bus route and has many restaurants located nearby. Built in 1969, the property has off street parking for all the residents. It is located in the DeValles school district. This development is as close to living in the country as public housing can get. Built in 1996, this property has eight (8) duplexes with 3 and 4 bedroom apartments. 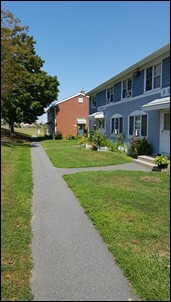 Located in the north-end of New Bedford, this property is in a nice residential neighborhood that is in close proximity to the New Bedford Regional Airport. These apartments have first floor washer/dryer hook ups as well as a half bath on the first floor and has ample off street parking. There is also a five bedroom handicapped unit at this development. 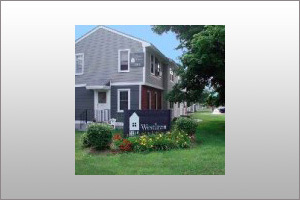 North Street is a scattered site development that is made up of 4 duplexes with one handicapped accessible unit. Built in 1996, these west-end units consist of 3, 4 and 5 bedroom apartments. These apartments all have washer/dryer hook ups on the first floor as well as a half bath on the first floor. Another west-end development that was built in 1996, this property has 2 buildings with 2 units per building with 1 handicapped apartment. This is a great looking development with nice yards and plenty of off street parking. South First Street has 3 buildings with seven 2 and 3 bedroom apartments as well as 1 handicapped unit. 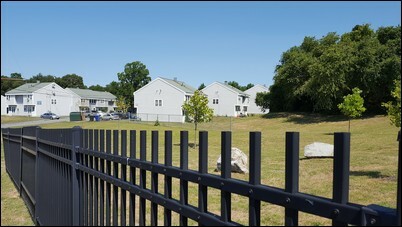 This development is adjacent to Route 18 and has a nearby playground and a City park. It is within walking distance to a local supermarket. Built in 1996, these apartments all have washer/dryer hook ups and a half bath on the first floor. 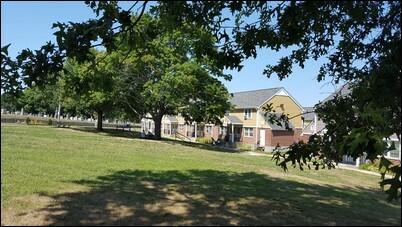 Hillside Court is a federally-funded senior apartment building located on Coggeshall Street in the north end of the city. 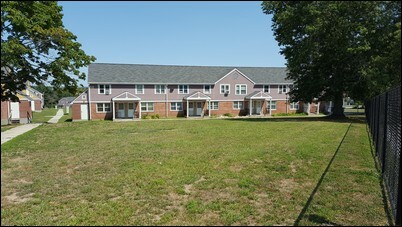 It is a two-story building with forty-six (46), one (1) bedroom efficiency-style apartments. Due to its unique design construction, one can enter the second floor of the building from street level from the Myrtle Street entrance. Washer and dryers are located on the first floor. Hillside Court is managed by the Presidential Heights office, 508-997-4845. Hillside II is a newly constructed development consisting of a one 2 bedroom cottage and one townhouse style duplex. All three (3) apartments are fully handicapped accessible. Two of the apartments are two bedroom units and the remaining apartment has three bedrooms. The apartments have washer and dryer hook-ups as well as off street parking. This property is located in the north central section of the city and is in the Carlos Pacheco school district. This development consists of three, 2 storied buildings with a total of 30 apartments in all. This north end site is all 2 bedroom units and was constructed in 1969. 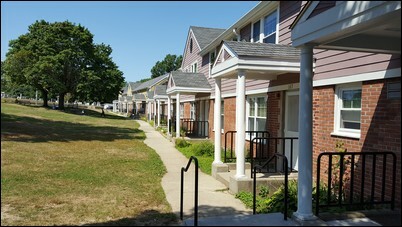 The rear porches and parking lot were completely renovated in 2016. All the hot water to the apartments is solar generated. This property is located in the Level 1 Jerimiah Swift school district as well as the newly constructed Alma del Mar Charter School. It is in walking district of a commercial area and is situated on a bus route. Built in this 2008, this unique development has seven 1 bedroom bungalows that are attached to seven 2 and 3 bedroom condominiums. 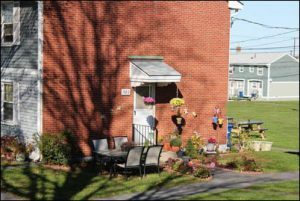 The seven bungalows are owned by the Housing Authority and the seven condominiums are owned by differently families. 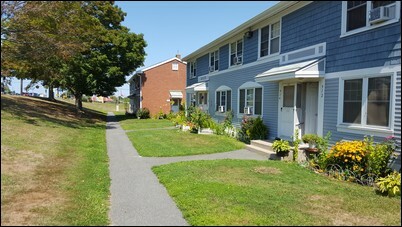 There is one handicapped apartment on the site and it is located in the west-end of New Bedford. The property has both off street and on street parking and is located in the Carney Academy School District. Located in the near north end on Mt. 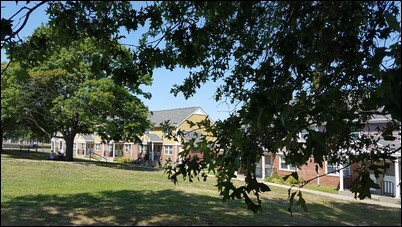 Pleasant Street, Nashmont is an eighty (80) unit family development that is funded through the state. Bedroom sizes range from 1 bedroom units to 4 bedroom units. Eddie James Park is adjacent to the property on Barrett Street and has a small playground, swings, and a basketball court. The Nashmont development is managed by the New Bedford Hotel on 725 Pleasant Street and can be reached by phone at 508-997-4855 during business hours. 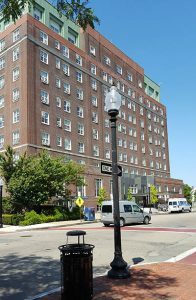 Located in downtown New Bedford at 725 Pleasant Street, the New Bedford Hotel Apartments are a state-aided, elderly high rise located in the historic New Bedford Hotel. One hundred-and-twelve (112) units in total, the New Bedford Hotel development consists of eighty-nine (89) one bedroom units, eight (8) two bedroom units, and fifteen (15) efficiency units. In close proximity to shops, restaurants, the post office, and the main bus terminal provide residents with easy access to many different amenities that the downtown has to offer. 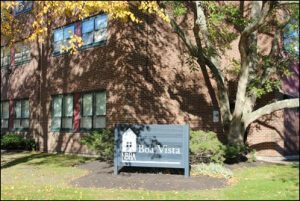 The management office is located on-site in the lobby and the telephone number is 508-997-4855. Coastline Elder Services provides hot lunches Monday through Friday at 11:30 A.M. Please call the Senior Center the day before (Friday for Monday) to reserve your lunch. Parkdale is a one-hundred (100) unit state-funded, family property located in the west end of the city on Rockdale Avenue. Bedroom sizes range from one bedroom to four bedroom units. Located in close proximity to New Bedford High School, Keith Middle School, and the Andrea McCoy Athletic Field Complex, Parkdale is situated within the Carter Brooks Elementary School district and is managed by the Blue Meadows property office, 508-997-4841. Presidential Heights is a one hundred ninety-eight (198), unit federal-funded family development located in the near the north end of the city at 159 Fillmore Street. 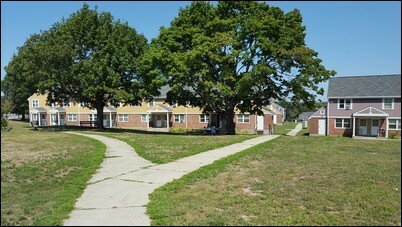 Constructed in 1941, it is the second-oldest public housing development in the city of New Bedford. There are one bedroom, two bedroom, three bedroom, four bedroom and five bedroom units available including ten (10) handicap accessible units. The development is located in the Carlos Pacheco elementary school district. Savers market is close to the development, making shopping easy, and the development is also adjacent to the Dias baseball fields. The telephone number is 508-997-4845. 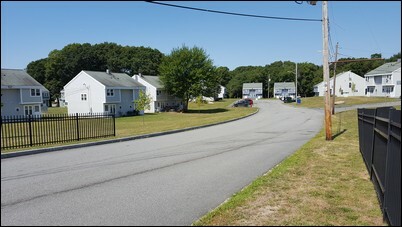 Satellite Village is located in the north end of the city in New Bedford, just behind the Campbell Elementary School. A secluded, federalized family development of seventy-three (73) duplex walk-ups, bedroom sizes range from two (2) bedroom to five (5) bedroom units. Recently completed renovation work allowed for the creation of ten (10), handicapped-accessible, four (4) bedroom units. Satellite Village is in close proximity to Trucchi’s Supermarket, among other retail businesses. Management is run out of the Dottin Place property office located a short distance away at 8 Amanda Avenue. The office can reached by phone at 508-997-4848. Sawyer Park is a State funded development located in north-end of the city. It has 2 row type style buildings on the site with a total of 18 one and two bedroom apartments. 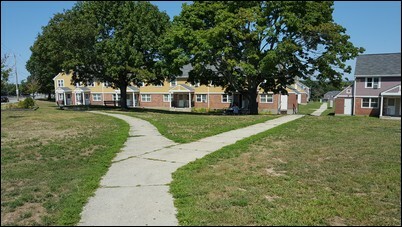 Shawmut Village is a federal family development with 170 units in 85 duplex buildings. 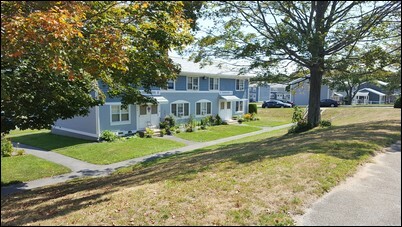 Located in the west end of the city, it is in close proximity to New Bedford High School and Keith Junior High School. Elementary school children attend Carter Brooks elementary school. 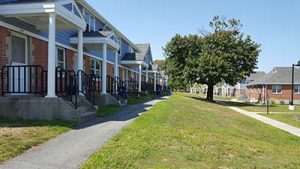 Shawmut Village recently had 10 handicap units converted as part of NBHA’s goal of increasing handicap accessible housing. 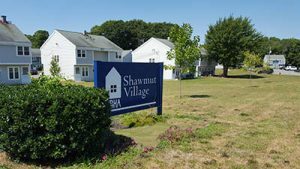 Shawmut Village is managed out of the Westlawn Property Office at 197 Liberty Street and can be reached at 508-997-4839. This site consists of four 2 story duplexes that were constructed in 1971. 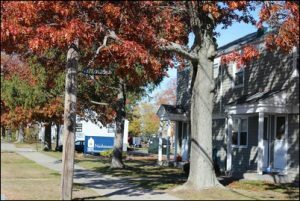 The apartments have two 2 bedrooms and 3 bedrooms with tree lined back yards as well as off-street parking and is located in the north-end of New Bedford. This site consists of two 2 story duplexes that were constructed in 1988. All the apartments are two bedrooms and the exterior was extensively renovated and weatherproofed in 2016. 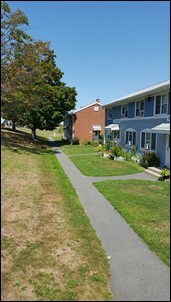 This property has spacious backyards as well as off street parking and is located in the north-end of New Bedford. Douglas Arms is a single brick building with eleven 2 bedroom apartments and one 1 bedroom apartment. This three storied building was built in 1971, has off street parking and is located in a very quiet residential neighborhood in the south-end of the city. This is a walk up two story building with four apartments. There are two 2 bedroom units on the second floor and 1 one bedroom and 1 two bedroom on the first floor. It has off street parking and is located in the Carlos Pacheco elementary school district. Fillmore Street is within walking distance to a shopping center. These two duplexes are located on a quiet cul da sac in a nice residential neighborhood. The exteriors were completely rehabbed in 2015 and the 4 apartments all have 3 bedrooms with off street parking. These apartments are located in the west end of the city and are within walking distance of a supermarket. They are located in the Carlos Pacheco school district. 52/54 Richmond Street consists of two 3 bedroom apartments. This west-end duplex was built in 1988 and is located in a beautiful residential neighborhood. 742 Shawmut Ave. is a single building with nine (9) apartments consisting of both 2 and 3 bedrooms. Built in 1965, this is another single building development located in the West-end of New Bedford. This property is located on a dead-end street with off street parking. Tripp Towers is an elderly-designated high rise of two-hundred-and-two (202) single bedroom units located in the city’s far south end at 12 Ruth Street. The state-funded Chapter 667 building is NBHA’s largest, with many of the units in the building possessing beautiful views of New Bedford’s outer harbor. Twenty-five (25) of the units are fully handicap accessible. Laundry facilities and a Community Room are located on the tenth floor to take advantage of these wonderful views. Coastline Elderly Services provides hot lunches Monday through Friday at 11:30 A.M. There are no costs for the lunches, but donations are greatly appreciated. Please call 508-961-3120 by 11:00 A.M. the day prior (on Friday for Monday) to make a reservation, so that a proper count may be made. The NBHA has also partnered with Coastline to provide on-site personnel to assist elders with information and referrals for programs and services designed to support and and maintain the independent living of our residents. Twenty-four hour assistance is available in emergency situations. 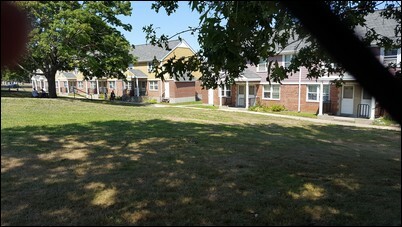 Westlawn is a federal-funded family development in the city’s west end. 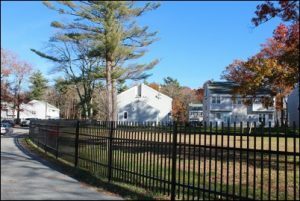 Consisting of two-hundred (200) apartments, varying from one to four bedrooms, the development is situated next to the Paul Walsh athletic fields and both New Bedford High School and Keith Middle School are within walking distance. It is also across the street from the Boys and Girls Club of New Bedford. Westlawn is in the Rodman elementary school district. The Property Office is at 197 Liberty Street. The telephone number is 508-997-4839.